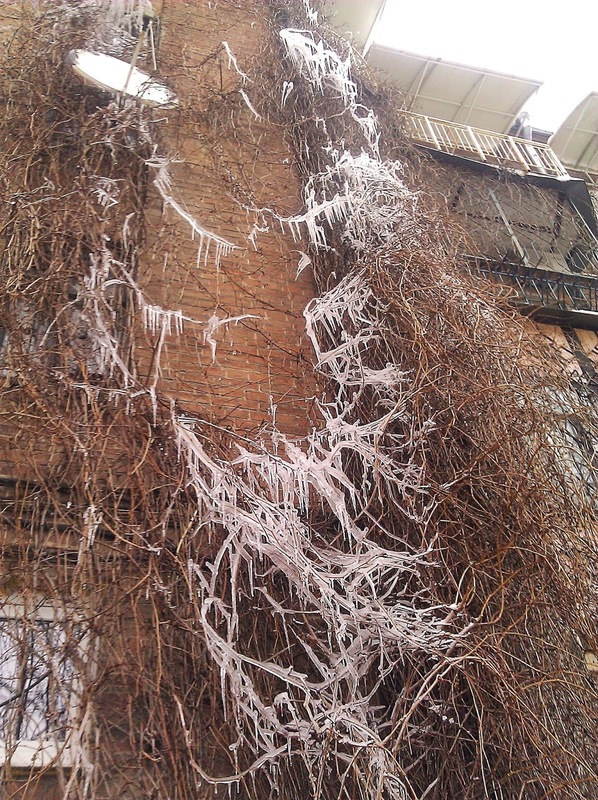 We've had snow this week and above freezing temperatures and so we are getting into dangerous icicle season. All over the sidewalks you'll see the area closest to the buildings cordoned off so that you can't walk there and get an icicle to the head. 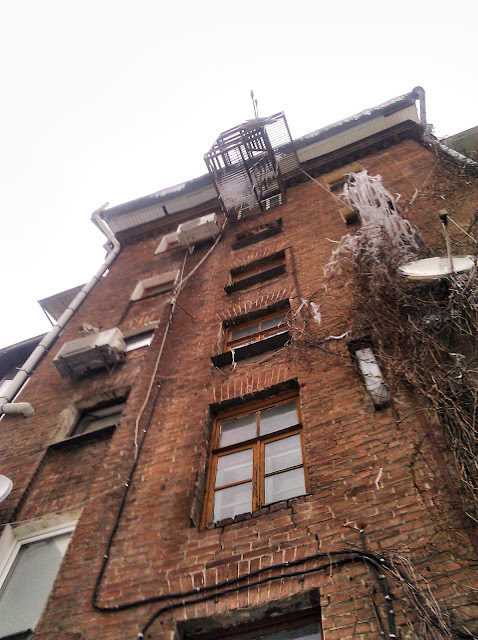 In America about 15 people each year die from falling icicles but the problem can be particularly bad in Europe where building and walkways are often very close together. 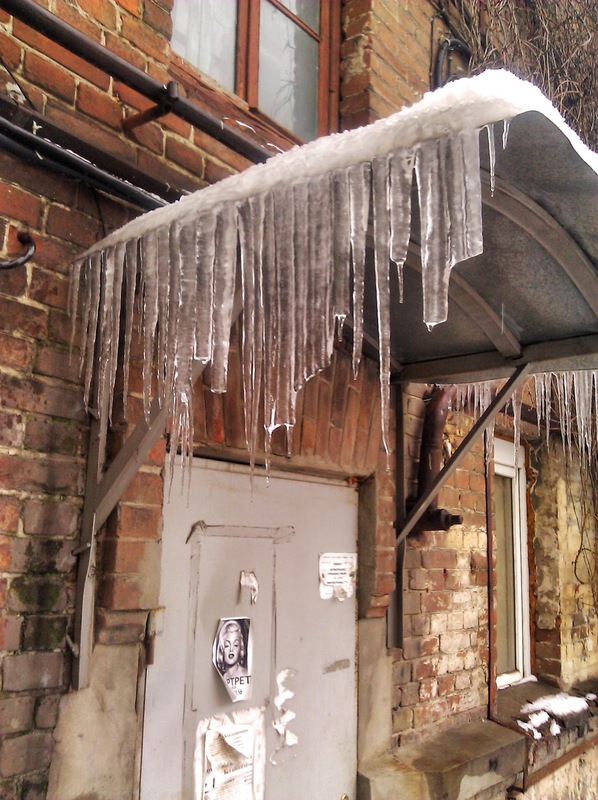 Each year thousands of people are injured from falling icicles and St. Petersburg had a particularly bad winter in 2010. The worst areas are the places where you think you are not in danger. Behind our apartment building you might not realize that five stories up there is a balcony with some dangerous looking icicles forming.